Full smartphone touch control from a compatible Pioneer head unit can be achieved with AppRadio Unchained, an open source tweak. The software works for Android phones only. The iOS counterpart, AppEx, has been under development for a while now with no ETA in sight, but that topic is for another discussion. AppRadio Unchained or ARUnchained or ARU, works on a rooted Android smartphone. The device connects to a compatible Pioneer head unit via HDMI and the entire smartphone's display is mirrored onto the head unit with full touch control. It's like having your Android smartphone mounted in your dashboard. 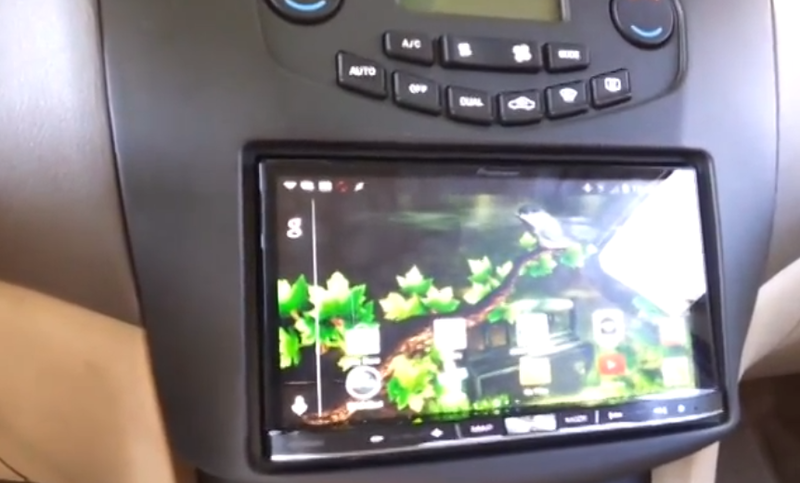 Just recently, we posted a video showing the software working on a Pioneer AVH-4000NEX. If you're interested in knowing more about the software, watch this YouTube video from user "M Sylvester" demonstrating the ins and outs of the tweak. Other resources are also below the break. Before you proceed, keep in mind that rooting your smartphone, installing third-party software, jailbreaking etc. should all be done at your own risk. These procedures come with many risks, sometimes amounting to damage to your devices or even legal issues. But there's no harm in reading about it or staying informed. As you can see the video even shows the cables you may need to get connected. In this case a Samsung Galaxy Note 3 is used with an MHL adapter from Samsung and an HDMI cable. A microUSB cable is needed to charge the phone. The cables needed will depend on the phone you have.